While the Fourth Industrial Revolution is often described as building on the Digital Revolution or the Third Industrial Revolution, it is like nothing we have known before. Encompassing technologies such as artificial intelligence, robotics, 3D printing and autonomous vehicles, it is moving at breakneck speed and disrupting all areas of our lives, socially, politically and economically. Leaders at the most senior level must take responsibility and understand what is required to bed the technology into both our working and home lives while at the same time ensuring that these new tools are able to fulfil their potential and solve organisational and global problems. Klaus Schwab, founder and executive chairman of the World Economic Forum (WEF), which stages its 48th annual meeting in Davos-Klosters, Switzerland, next week, suggests that what is needed is a “systems leadership” approach to ensure that developments in technology are not able to occur without parallel consideration being given to “rules, norms, values and infrastructure”. In his latest book, Shaping the Fourth Industrial Revolution, Schwab aims to help leaders develop the techniques necessary to harness technological advances to solve critical global challenges. It provides a practical guide to understanding 12 sets of emerging technologies from a systems perspective and better appreciating the rules, norms, institutions and values that shape their development and use. Schwab contends this approach is necessary because of the unprecedented speed at which technology is developing, “which makes outdated and redundant” the approaches of governments, regulators and companies on which we rely to manage the impact of new technologies. 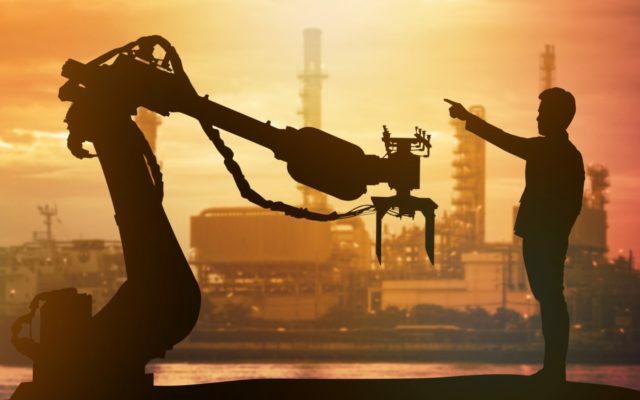 Shaping the Fourth Industrial Revolution calls on leaders to rapidly adopt the concept of agile governance of technologies, “matching the nimbleness of the technologies and the private-sector actors who create them in constantly updating and rethinking rules in collaboration with other sectors”. For businesses, this means greater experimentation with new technologies and greater investment in people and skills to maximise firms’ ability to develop and bring to market winning innovations, it says. Anyone in senior leadership positions today should sit up and take notice of Schwab’s words. The book, co-authored by Nicholas Davis, the World Economic Forum’s head of society and innovation, draws on the contributions of more than 200 of the world’s leading technology, economic and sociological experts to present a practical guide for citizens, business leaders, social influencers and policy-makers. It outlines the most important dynamics of the technology revolution; highlights important stakeholders who are often overlooked in the discussion of the latest scientific breakthroughs; and explores 12 technology areas central to the future of humanity. It has also led to the creation of the Centre for the Fourth Industrial Revolution in San Francisco, which will be supported by an international network of affiliated centres. The mission of the global hub of expertise is to establish an agile governance cooperation platform for business and government. Ultimately, this book is about good governance of technology and astute leaders who recognise this are already making a leap in the right direction. Technology is everywhere and, for organisations, managing it is no longer about outsourcing the task to information technology. What is Digital Transformation actually, in practice / in reality?